Have you ever heard the old saying that you ‘marry your dad’?! At one time or another have you wondered what the similarities are between your own relationships and the relationship your parents had when you were growing up? Why are we drawn to partners who are similar to our Mums or Dads? Or why do our relationships look the same or exact opposite (for the rebel readers) to our parent’s relationship? I think we can all agree that at some point or another we have considered this. Perhaps you have dismissed any similarity and quickly moved your thoughts to dinner; or perhaps you feel this is just your ‘fate’ or just the way things are. But what if I told you that with a bit of self-reflection and healing, you can change all this? You don’t have to repeat all the traits of your parent’s relationship in your own – particularly if they were negative or unhealthy. 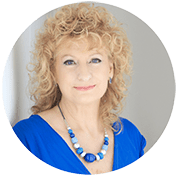 In this blog I look at what you can learn from your parents about your own relationships, and how to apply this understanding to heal past hurts or experiences in order to attract a positive, healthy, loving relationship; or even improve the one you’re currently in. You might like to get a pen and paper for this one and draw two columns. The first column you can call ‘Healthy’; the second one ‘Unproductive’ or ‘Unhealthy’ – whichever you feel more comfortable with. Now think through the following areas write a list of all the positive things you remember about your parent’s relationship with each other (not their relationship with you) in the ‘healthy column’; and the unproductive or not-so healthy in the ‘Unproductive’ column. Perhaps you will find gaps in your list – whatever was normal for you is okay. Was this equal? Were your parents present with each other frequently? Was one parent away for much of the time? Did your parent’s make time for each other away from you? Socially? With friends? Or Were you brought up by a single parent and never even met the other? Did your parents kiss and cuddle? Buy each other gifts? Do lots of everyday things for each-other in thoughtful ways? Or was this something you never saw. How was their love for each other demonstrated? How did they share the chores of everyday living? Did they share responsibilities equally? Who did the cooking? Cleaning? Paid the bills? Maintained the house? Earned the money? Organised holidays and social events? How did your parents communicate with each other? Was it frequently? Or as little as possible? Was there loud fighting? How were disagreements handled between them? Or were issues between them swept under the carpet and never discussed? Hopefully you’ve got a good number of things against each of these areas and it helps you to think through all the various aspects of your parent’s relationships. Perhaps you may have started to think ‘ohhhh…. I get it’ , identifying some patterns of behaviour you witnessed and experienced in childhood playing out in your own relationships. You see, every person who ever lived on the planet thinks that their upbringing; their parent’s relationship was ‘normal’. However there is no ‘normal’. There is only what you experienced. And for you, what you experienced observing and living with your parents and their relationship, be it positive or negative; healthy or unhealthy; productive or unproductive; is normal to you for relationships. 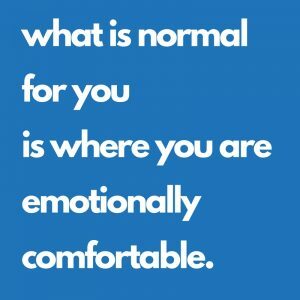 And what is normal for you, is emotionally comfortable. Emotionally safe. (whether physically safe or otherwise, this is on an emotional level). And what is emotionally comfortable is something your subconscious will seek out and be drawn to. Where there are positive experiences, this is fantastic. Where there are not-so-positive experiences, this may be something you wish to address and improve on. Let’s take some examples. Because sometimes my clients find this small point quite a big one to understand conceptually. It’s not always until they understand that they’ve been living in an emotionally comfortable place; that they’re able to move out of this to heal past hurts, and explore a more joyful life. A client, Sarah, had a father who was absent most of the time during her childhood because he was often away for work. When he was home, he didn’t put much effort into the relationship with her mother; and expected her mother to take responsibility for everything to do with running and maintaining of the home, family and their social lives. Although Sarah loved her father very much, at a deep level, Sarah had accepted it was emotionally comfortable when men in her life were absent both physically and emotionally. It was no wonder when you fast forward 40 years she had had a large number of long-distance relationships with men who were not very committed. By identifying and healing the root cause of this relationship issue she had; Sarah was able to heal the unresolved hurt this had caused her and realise she deserved more in her own relationships than what she had experienced as ‘normal’ as a child. She was able to move on and quickly found a loving, healthy , committed relationship. Another client, Sam, grew up with parents who rarely argued. It wasn’t that they didn’t have common conflict, but they just rarely had heated arguments, and instead brushed day-to-day disagreements under the carpet. Then when they DID have an argument, boy was it a doozy. When I started working with Sam she had issues with communication in her relationship and had real trouble expressing her feelings to her partner. This, in turn, caused a build up of resentment and negative feelings towards him. From working together, Sam soon realised a large part of this was ‘emotionally comfortable’ for her, because it was what she had experienced and witnessed with her own parent’s relationship as a child. 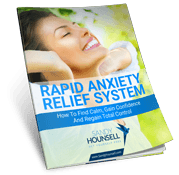 By identifying one of the main root causes for this issue, we were able to work together to heal past experiences and create new ways of dealing with conflict in her relationship. What is emotionally comfortable for you? 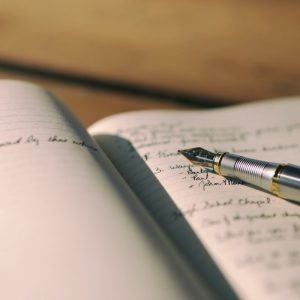 Everybody is different, and hopefully this blog has helped you understand better what is emotionally comfortable for you; and if this is truly giving you the relationships and life that you desire. If you would like to talk through your experience to see if we’re a good fit to work on this together, please feel free to contact me below.